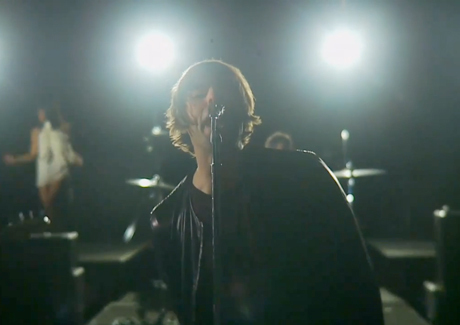 Last week, we brought you the first song from Liam Gallagher's new band, Beady Eye, "Bring the Light." Now, the former Oasis frontman has unveiled a video for the track, which shows him and his bandmates performing the song in a dimly lit room while white-clad backup singers perform a retro dance routine. Check out the clip for the rock'n'rolling tune below. If it looks a little suspiciously like an Oasis video, that's because Gallagher's bandmates -- Andy Bell, Gem Archer and Chris Sharrock -- were all in Oasis. Beady Eye Cancel Shows After Guitarist Gem Archer Suffers "Severe Head Trauma"